Before welcoming our daughter into the world, myself and my husband travelled a lot, chasing the best scuba diving and food around the world! Having lived in London, and Jersey (Channel Islands), we have settled in Norfolk, and now spend our time exploring East Anglia with our dog Sandy, as well as looking for family and budget-friendly holidays in the UK and further afield. And the odd adults-only trip for us both! Bristol - the gateway to the stunning West Country - is a truly unique city in the UK. It has a quirky culture all of its own, offering creativity, innovation and excitement at every turn. 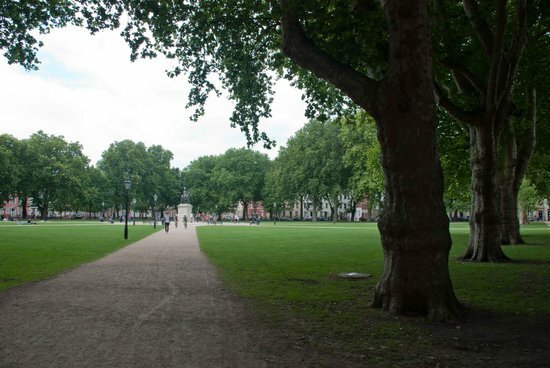 As the first city in the UK to be granted European Green Capital status in 2015, the city has some seriously impressive green credentials, as well as a focus on local, independent and all things environmentally friendly. With three days to explore Bristol. 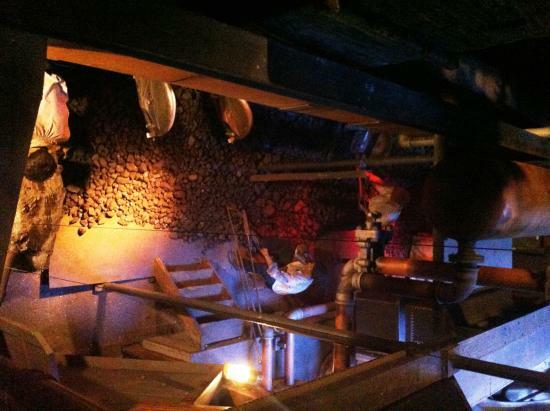 you've got more than enough time to delve beneath the surface, and discover many of the city's very best ingredients. Bristol hosts lots of festivals and events throughout the year. Look for the St Paul's Carnival, the International Balloon Fiesta and Upfest, among others. 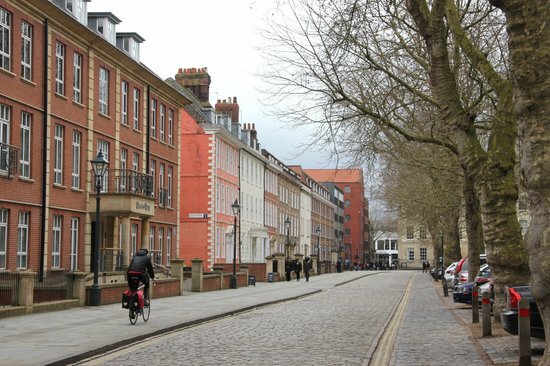 Bristol has some great neighbourhoods to explore outside of the city centre, each with their own personality. Be sure to visit areas including Clifton, Southville, Stoke's Croft, and St Paul's. Enjoy soaking up some culture as you walk around. Look out for everything from original graffiti by the famous street artist Banksy, to temporary installations like the summer 2015 "Wallace and Gromit" trail. There are two train stations (with great rail links to the rest of the UK). 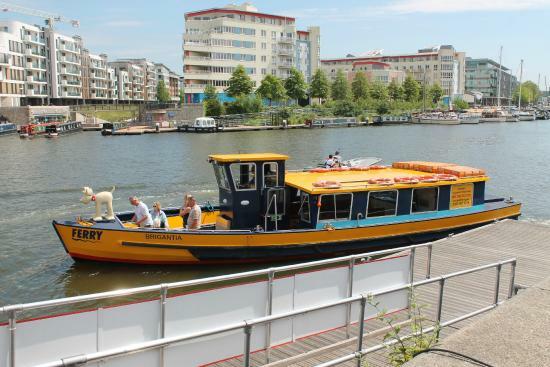 Use Bristol Temple Meads for the city centre, from which you can walk, grab a bus or even take a ferry. Whilst the city centre is compact and relatively car-friendly, nothing beats getting around like a local. Walk, cycle, take a boat or even an hot air balloon, and get exploring! 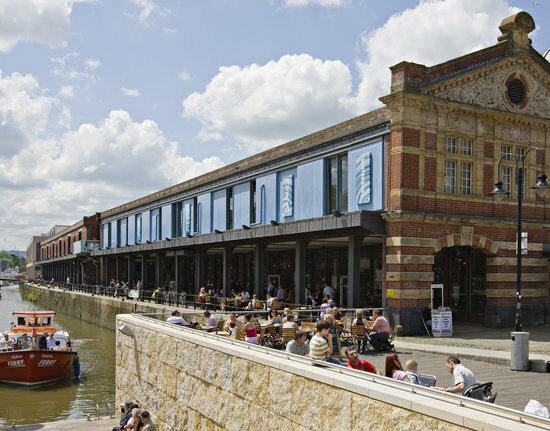 Bristol Harbour (the 'floating' harbour) has a long history as the original port of the city, and has been extensively redeveloped into its modern carnation as a buzzing entertainment area. From cultural attractions to restaurants and bars, as well as apartments, it is a stunning place to spend some time, and exudes a real holiday, 'good time' feel along both sides of the river. 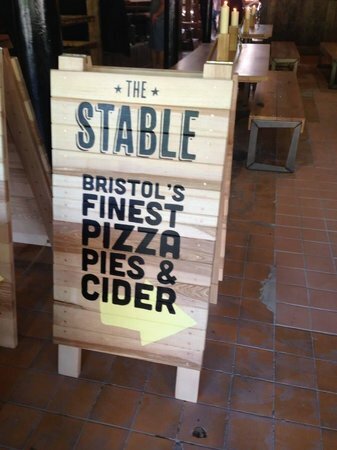 A great place to kick off your stay in Bristol! Visit at the weekend between 10am - 4pm for the Harbourside Market, when over 40 stalls sell local arts, crafts, food, and more. There's often live music and entertainers too. As well as taking a boat trip - privately or by ferry - you can also try out yachting, paddle boarding, and rowing here. The Harbourside really is best appreciated from the water. On a sunny day, tons of people sit along the harbour walls to watch the boats. 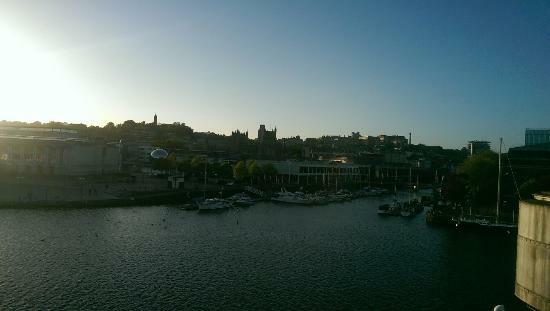 Try some local cider from the Arnolfini bar and they'll give you a plastic glass to take outside. From Bristol Temple Meads train station it is 20 minutes walk to Prince Street Bridge or 15 minutes by ferry. From there, walk north towards the pedestrian Pero's Bridge and the Waterfront. The area explodes into life for the Harbour Festival in July, with music, dancing, food, drink and nautical fun! 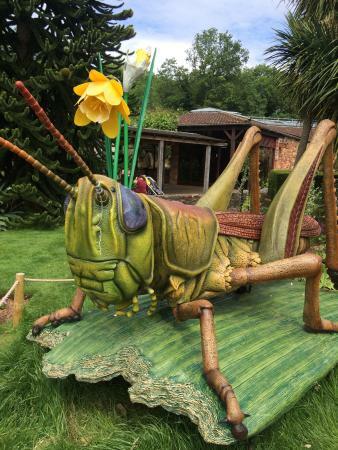 It's really busy but is an annual must-do for locals and visitors alike. 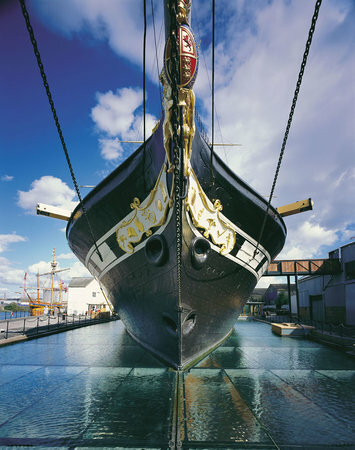 Housed in the original, Grade II listed dry dock at the Great Western Dockyard where she was built, Brunel's SS Great Britain is a very impressive attraction, and makes for a fascinating visit. Climb aboard to literally take a step back in time, and get a real sense of the history of the ship as you explore every inch - from the rigging above to the galley below. 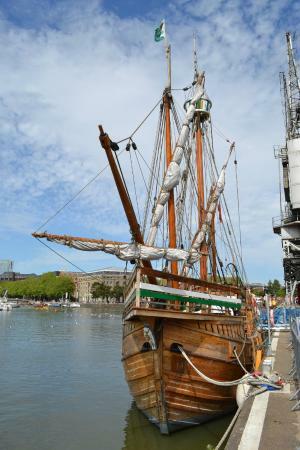 It is 10 minutes by ferry from the Waterfront to the SS Great Britain. The ferry runs every 40 minutes, every day between 10.20am - 5.40pm. You can also walk here along the Harbourside. The entry ticket allows free unlimited re-entry for a whole year. I've never seen that deal anywhere else and think it is fantastic value if you are planning to visit the city again in the foreseeable future. 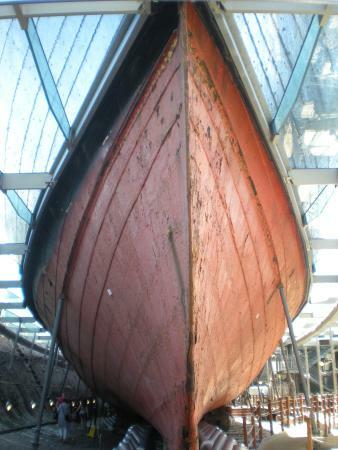 The ship and museum are open from 10am - 5.30pm, with an early close at 4.30pm during autumn and winter. It is worth purchasing an extra ticket to "Go Aloft", and climb the ship's rigging, which takes you 30m above ground level. Pretty nerve-racking but the views of the city are incredible! 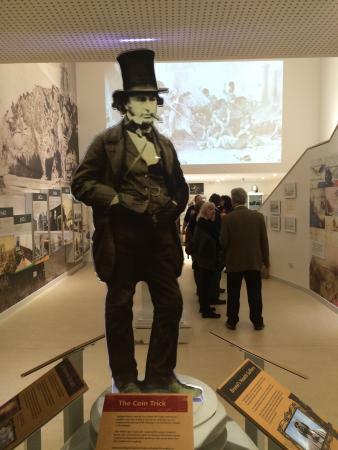 There's a good cafe onsite, and you can also access the Brunel Institute and Library from here. 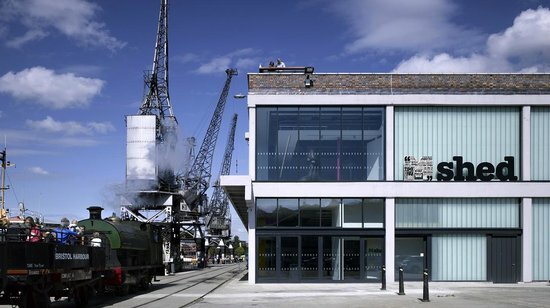 As you walk around the docks, you won't be able to miss the M Shed, housed in a dockside transit shed on Princes Wharf to the south of the Harbourside. This great, and most importantly, free, museum, tells the story of all things Bristol, and has some really interesting exhibitions. Open 10am - 5pm Tuesday to Friday, and until 6pm at the weekend. Closed most Mondays. 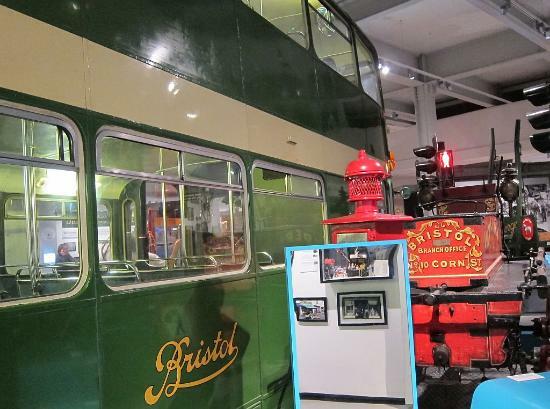 If you are visiting with young children, they will love M Shed - the displays are really interactive and engaging, and there's dressing up clothes and a big old green bus to climb aboard! The museum often arranges special trips, including tours on a steam tug boat, the Mayflower, rides on the dockside steam train, and free walking tours. Check the website's "What's On" guide for details. 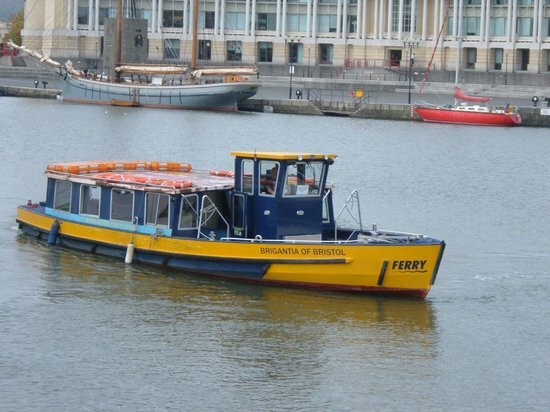 This private company operates the ferry bus service that runs every day along the harbour (and has already been mentioned several times in this guide!). It is a really memorable way to explore the city, and they also offer tours further afield including along the Avon Gorge and under the Clifton Suspension Bridge. Do chat with the friendly staff and they will point out attractions along the way, as well as local wildlife including Peregrine Falcons, kingfishers, and herons. This company is very child friendly - under fives go free, they will help with pushchairs (which should be folded down while aboard), and will even allow you to bring on your own food and drink. Only three of the five boats have toilet facilities on board, and disabled access varies. If in doubt, call in advance to check. The Watershed is a buzzing cultural and media centre, located in former warehouses which stretch along the Waterfront at Canon's Road. As well as three cinemas and studio spaces, there is a really good cafe and bar upstairs with outside seating overlooking the water. A good place for a huge brunch while you are in the area! The Light Bite menu has some really tasty options for lunch, and at good value prices too. Just be sure to leave some space for the homemade cakes! There is a lift from the ground floor entrance upstairs to the cafe and cinema so it is accessible for pushchairs and wheelchair users. Breakfast is served from 9.30am - 11.30am daily, with other menu items offered until 9pm. 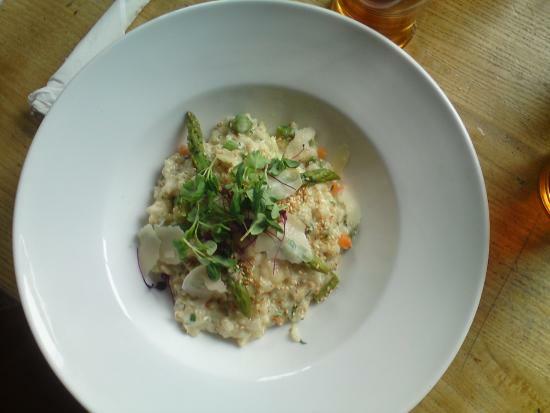 The focus is on local, seasonal, and ethically produced ingredients, and the results are delicious! 9:30 a.m. - 11:00 p.m.
Tucked away just beyond the Harbourside, Queen Square is a lovely tranquil place to escape to for a picnic and some people watching. The Georgian buildings set around the square are simply stunning. The square often hosts events as part of the city's local festivals. 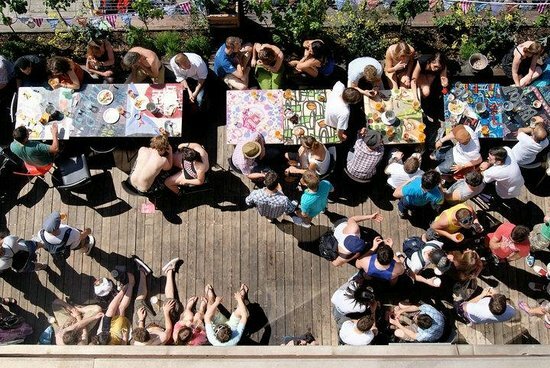 These include the Harbour Festival in July and the spring "Eat Drink Bristol Fashion" event. As it is a public space, the square is always open and free to enter. There are plenty of "pay and display" parking bays nearby. 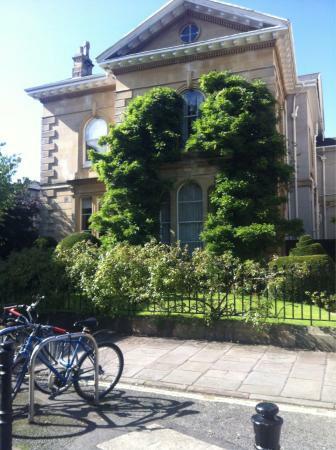 Just behind Queen Square on King Street is the Theatre Royal, home of the Bristol Old Vic theatre company. It's well worth swinging by to see what's on at this historic Georgian auditorium during your stay. For a treat, upgrade your ticket to a Superseat which includes the best seats in the house, plus a drink, programme, and ice cream. The theatre is the venue for the Bristol Proms at the end of July, when many world-class musicians take to its stage. 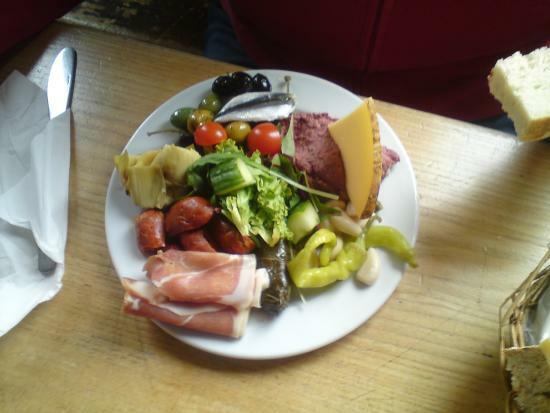 Don't miss the tapas and excellent wines served at the onsite cafe-bar/ restaurant, Flinty Red. Open to the public on selected show days only. 9:00 a.m. - 11:30 p.m. The Waterfront comes alive at night, with some great bars to choose from. 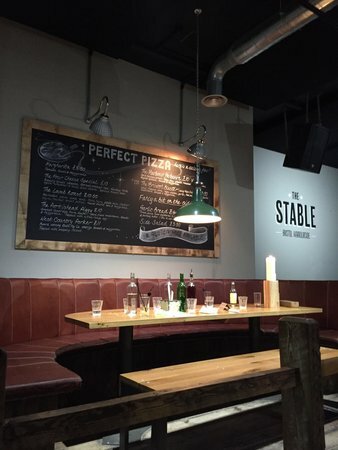 If you want to eat - as well as 'drink and be merry' - then The Stable pizzeria is a good choice. On Canon's Road, the decor is very industrial chic, with a large, open kitchen and long tables so you can get to know some of the friendly locals! Open daily from 12pm to 10pm for food, and until 11.30pm for drinks. The "Tuck in Tuesday" offer is served from 5pm, and includes a great value deal on pizza, salad and a drink. Or try the cider tasting board to get five different samplers for a fabulously low price. 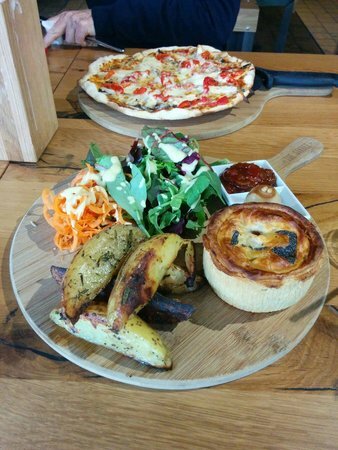 As well as pizza, check out the pies and local cider and ales on the menu here. If you fancy a cocktail to round off your first day in Bristol, The Milk Thistle bar offers a dark, glamorous, prohibition-themed hidden world right in the centre of the city. Knock on the unmarked door to gain access, and you'll feel like a VIP as soon as you cross the threshold. Entry is at the discretion of the door staff, so it is best to dress smartly. They also prefer smaller groups with a mix of male and female! Do try their Gin Punch to share between four people. 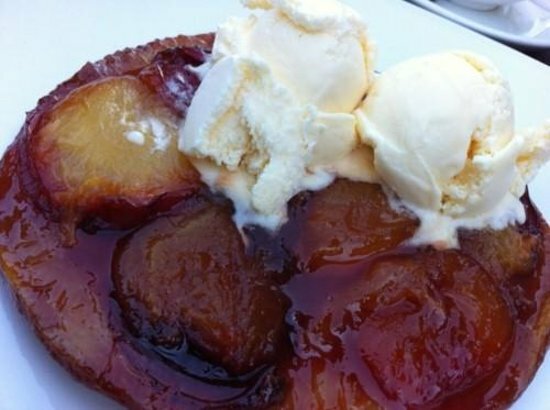 Delicious with raspberry, lime and ginger. 12:00 a.m. - 1:30 p.m.
6:00 p.m. - 3:00 a.m.
To kick off your second day, why not head north west of the city centre to the gorgeous suburb district of Clifton. 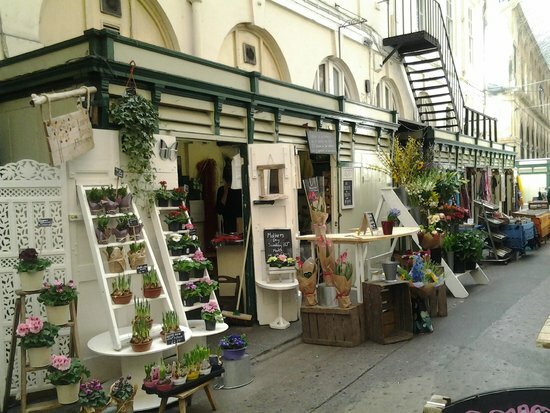 Hidden away off Boyce's Avenue, just behind the main street through the village, the Victorian Clifton Arcade features a lovely collection of independent shops with some really unusual antiques and gifts. 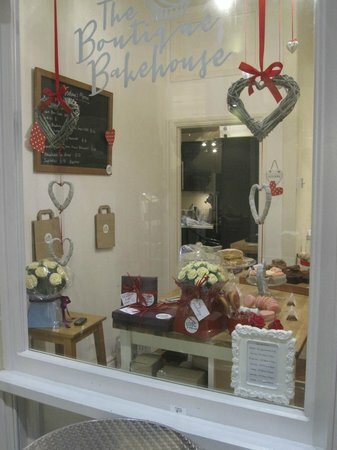 Pay a visit to the Primrose Cafe in the arcade. They serve breakfast, lunch and afternoon tea - plus dinner Tuesday to Saturday - and the outside area is a real sun trap on a pleasant day. Take the time to explore Clifton. There are some impressive Georgian buildings here, as well as lots of upmarket boutiques, cafes, and green spaces. Clifton is 40 minutes walk from Bristol Temple Meads train station; 22 minutes on bus number 8/9, which runs every 15 minutes; or if you have hired bikes, an 18-minute cycle from the centre! The grade I listed Brunel's Suspension Bridge is a true wonder to behold. 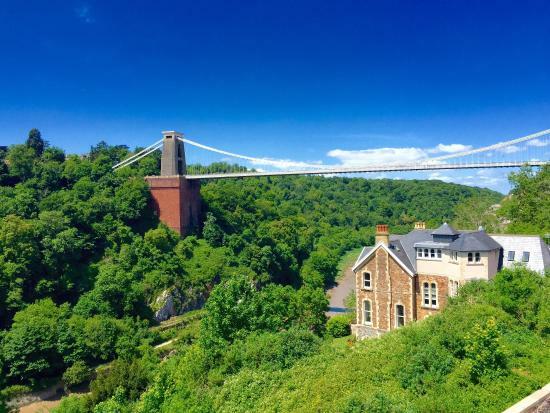 Opened in 1864, the structure is stunning, and it is surrounded by lovely green hills which you can admire as you cross both the bridge and the River Avon, which lies 75m below you. 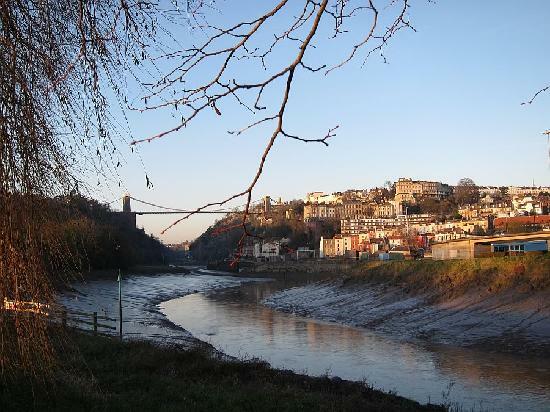 Walk south from the bridge and through the park to the Avon Gorge Hotel on Sion Hill. From here, enjoy the spectacular view from the terrace with a drink in hand! 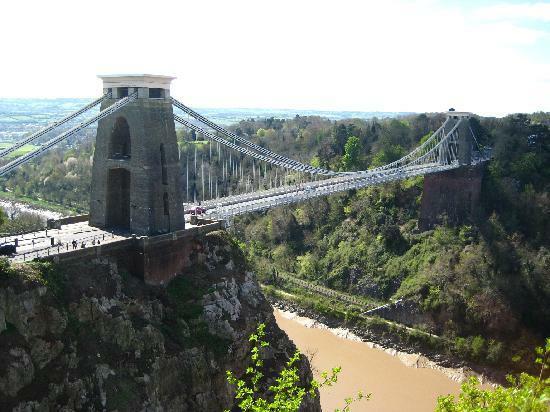 From Clifton Village, the bridge is a 15 minute walk away. Head to the toll booth on the Clifton side at 3pm on spring and summer weekends, plus bank holidays, to enjoy a free guided bridge tour. Look out for the bright orange jackets of the guides! Free for pedestrians and cyclists to cross but there is a small fee for cars and motorbikes. 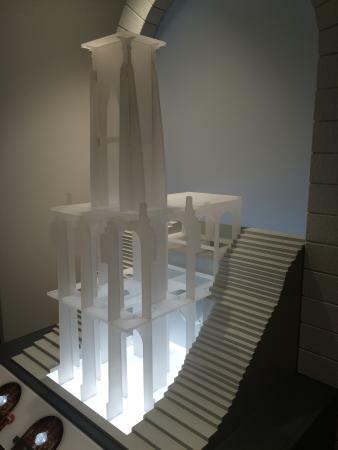 If you want to find out more about the bridge, head into the excellent onsite Visitor Centre. It's free to enter and is home to tonnes of information charting the history of the bridge, including most importantly, exactly how and why it was built. Find the Visitor Centre at the Leigh Woods end of the bridge, that furthest away from the city centre. It is open daily (apart from over the Christmas and New Year bank holidays), from 10am to 5pm. The small shop in the Visitor Centre stocks some great locally produced souvenirs, including Bristol Blue glass. 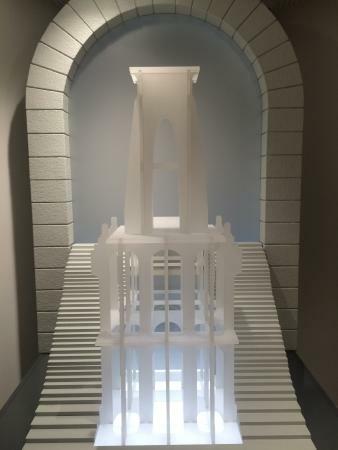 Use the centre's free public WiFi to download the excellent "Bridge Tales" app, created by University of West England students, which includes audio visual content and a self-guided walking tour. 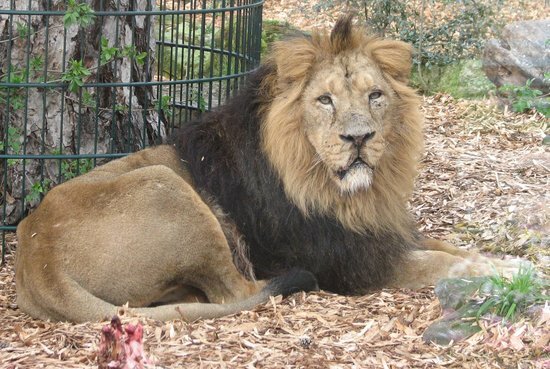 Also in Clifton, Bristol Zoo is an old Victorian walled zoo which opened in 1836. 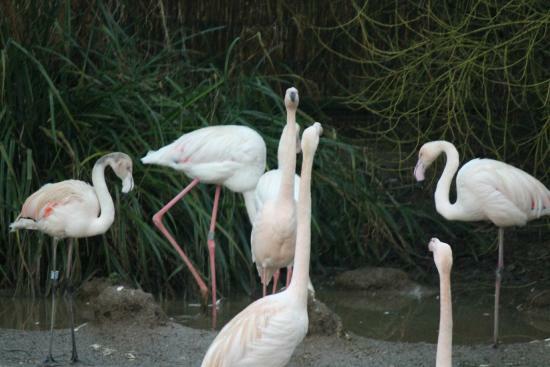 It's a great little zoo with a big focus on education and conservation, and is well worth a stop if you've got time to spare while still in the area. 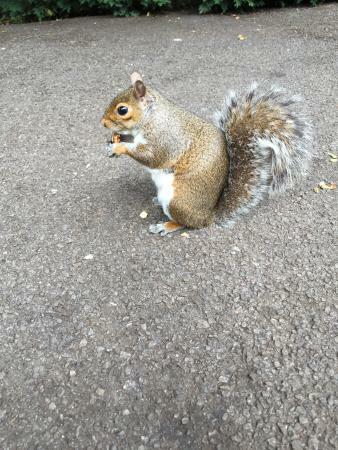 Check out the Wild Place Project, also run by the Bristol Zoological Society. Located on the city outskirts, at Junction 17 of the M5, it has lots of outdoor play attractions for the kids to explore. Look out for special events held at the zoo throughout the year, including evening music performances. Open every day (except Christmas Day) from 9am to 5.30pm. You can save 15% if you book your tickets online in advance. You can also make a saving by buying a combined Zoo Safari ticket on any First bus in the city, which gives you discounted bus journey and zoo entry (bus 8/9 runs here from the centre). 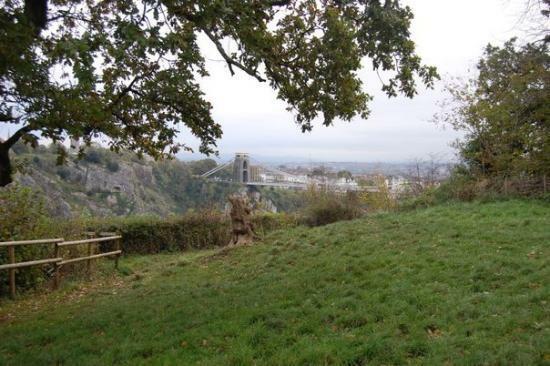 Located in the area surrounding the suspension bridge and the zoo, the Avon Gorge National Nature Reserve definitely deserves a place on your itinerary. 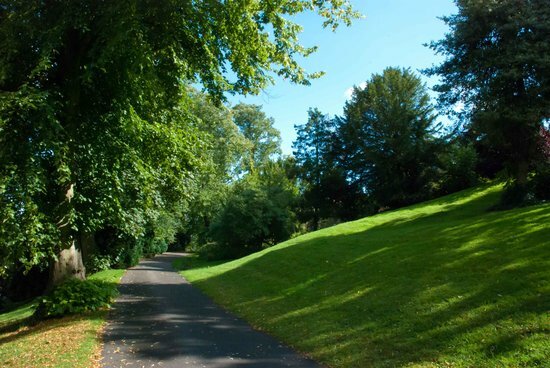 Encompassing Leigh Woods, Avon Gorge, Durdham Down and Clifton Down, exploring this region on foot or by bike, will reward you with beautiful landscapes and stunning wildlife. Explore the marked trails (some of which are quite steep) through the ancient Leigh Woods, and head to the Iron Age hill fort of Stokeleigh Camp, believed to date back to 300BC, for fabulous views! Look out for the goats that live in the Gully area of the Gorge - they are helping to maintain the scrubland to encourage the growth of wildflowers and grasses. You can walk or cycle all along the trail on the western bank of the River Avon for great views. 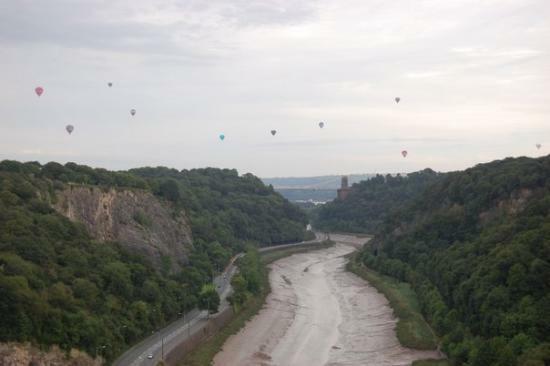 It's 40 minutes of walking or 10 minutes by bike from M Shed to the Clifton Suspension Bridge. 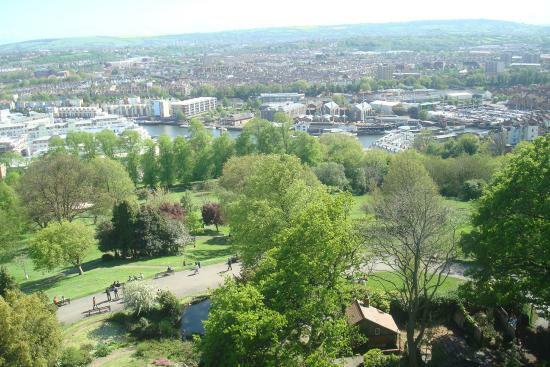 On your way back into the centre of Bristol from Clifton, it is well worth a stop in Brandon to climb the Cabot Tower in the centre of the park. 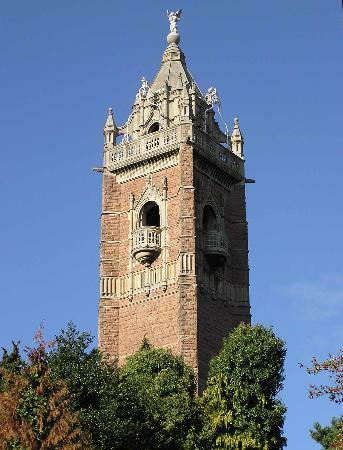 It is 32m high, Grade II listed, and was built in the 1890s. 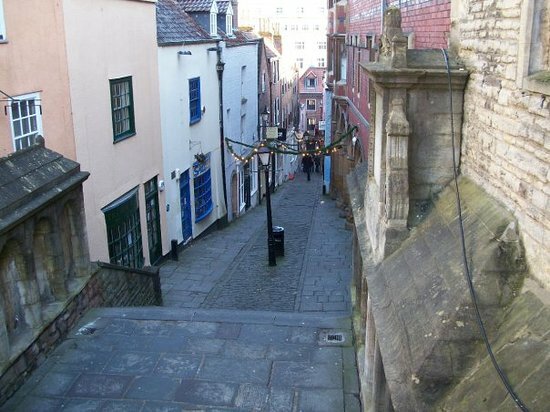 Park Street is a great place for a wander once you have climbed the tower. Full of independent shops, many specialising in shoes and vintage clothing, it is well loved by local students. It's free to climb the tower. There are 108 small steps in the spiralling staircase so it's not really suitable for the very old or very young to climb. There are public toilets near the tower by the top ponds. They're open every day from 8am until dusk. Open every day (apart from Christmas and New Year's Day) from 8am to 7pm in summer, and 4pm in winter. Bear in mind that it's not great at the top on very windy or wet days. 8:15 a.m. - 3:45 p.m.
8:15 a.m. - 12:45 p.m.
8:15 a.m. - 7:30 p.m. 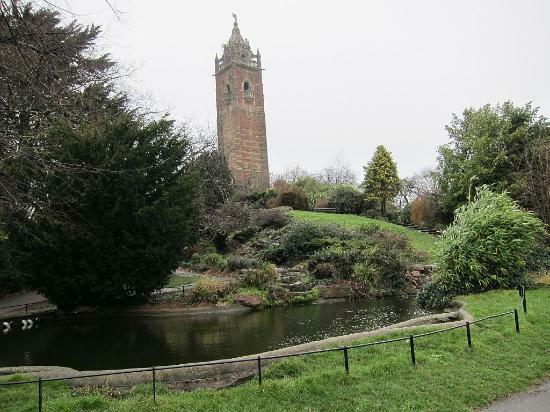 If you're travelling as a family, it is worth spending some time in the public parkland surrounding the Cabot Tower, after or before you climb it. There is a good kids' playground to explore, a pond with resident frogs and toads, plus plenty of picnic-perfect spots to choose from. While there is some parking in the roads surrounding Park Street, you are probably better off using public transport or walking. It's only a 10 minute walk from the Waterfront. Check out the fabulous views and lovely flowers in spring and summer. 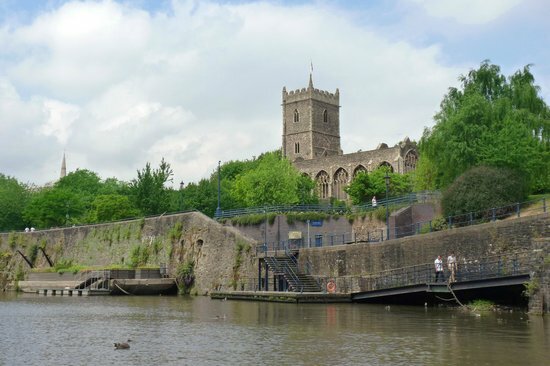 Less than a 10 minute walk from Brandon Hill, head back to the Waterfront and the redeveloped Millennium Square to seek out this Bristol gem. 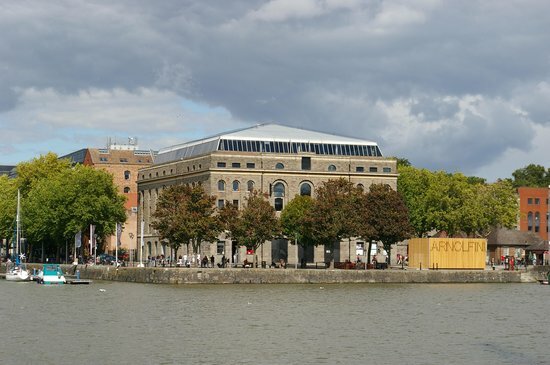 Based in the heart of the square, the science and discovery centre At-Bristol has tons of exhibits to get hands-on with, as well as an awesome 3D planetarium. 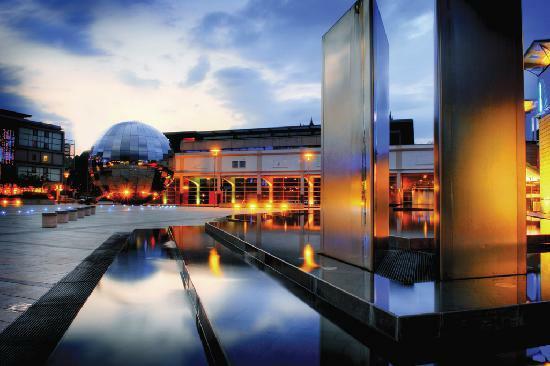 Kids and adults alike will love the water features, fountains and sculptures in Millennium Square. There are often events held here, as well as a BBC big screen. At-Bristol is open from 10am to 5pm daily (6pm at the weekend and during school holidays). 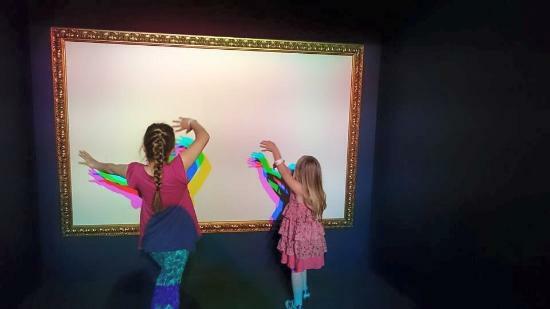 AT-Bristol is very kid-friendly. There is loads for under fives to do, including the "Build-It" exhibition, plus "Toddler Takeovers", and a soft play area in the cafe so weary mums and dads can grab a cuppa! There is an admission charge so it's best to plan to spend some time here to make the most of the cost. 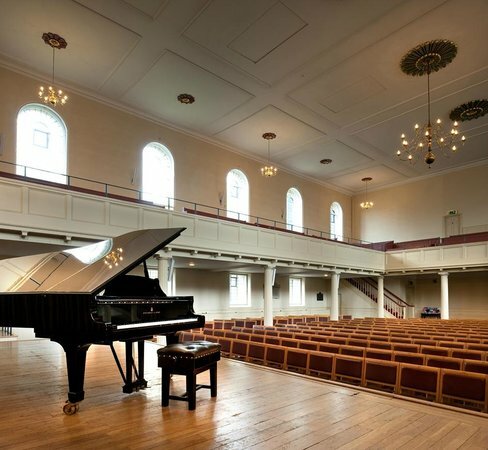 If you can find time to catch a musical performance during your stay in Bristol, then St George's is the place to do it. The converted Georgian chapel has amazing acoustics, an intimate and inspiring atmosphere, and a fantastic programme which focuses on classical, jazz, blues, and world music. St George's is located between Park Street and Brandon Hill, ten minutes walk from the Waterfront. As there is limited, metered on-street parking, if walking doesn't appeal, take bus number 1, 54, or 8/9 from the station. The arched-ceiling bar is a great venue in itself, so it's worth arriving early to enjoy a drink before the concert, as well as pre-ordering interval drinks! Why not start day three with some shopping?! 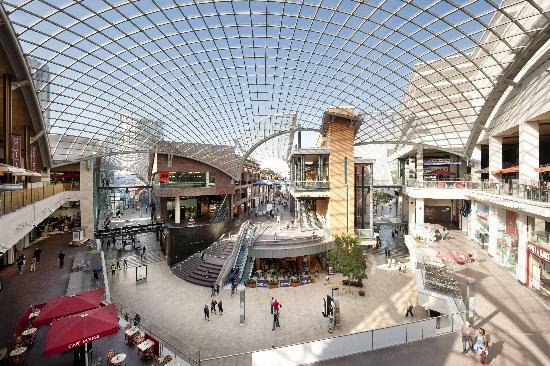 Cabot Circus shopping centre is located next to the Broadmead district, bang in the heart of the city, and, full of all the high street stores you could hope for, it's 'the' place to head to for a shopping spree. The layout and architecture is great too - you'll feel like you're browsing in the open air, while safe in the knowledge that its cover will protect you against the Great British weather! 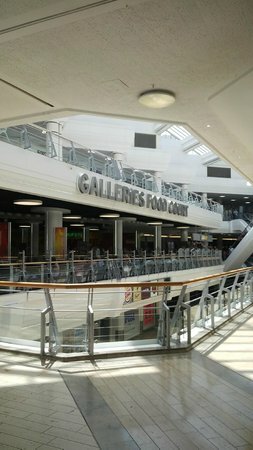 As well as high-street chains like Zara, Apple and House of Fraser, there is a huge cinema, adventure golf and a good food court onsite. There is parking at the centre (2,500 spaces! ), but you can also easily get here by foot, bus or ferry from the train station. If you are driving, use sat nav postcode BS2 9AB. Open from 10am to 8pm daily (11am to 5pm on Sundays). There are lots of other shopping areas nearby. 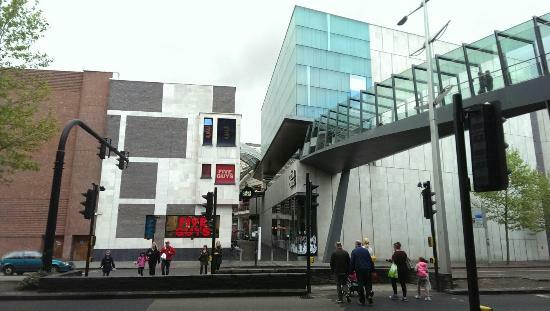 Walk south west along the pedestrianised Broadmead for large department stores including Marks and Spencer, and to reach the Galleries Shopping Centre. There are four baby changing rooms on the ground floor, two on the first floor, and also a shop mobility service. 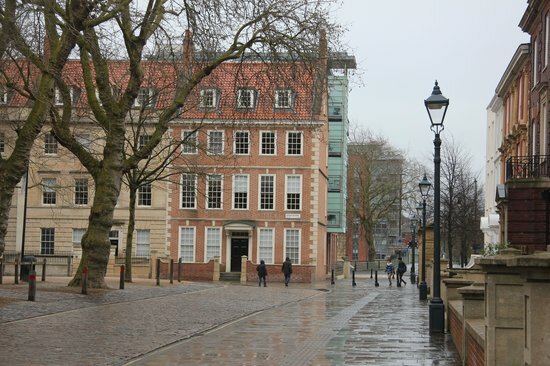 Get a sense of the historic and fiercely independent Bristol by exploring the Christmas Steps quarter. 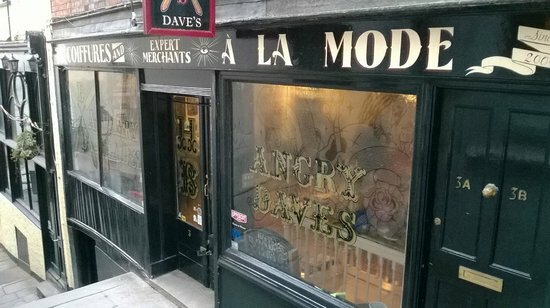 Lose yourself among the eight streets that make up this unique area, and enjoy the independent shops, galleries, venues, cafes, and pubs. 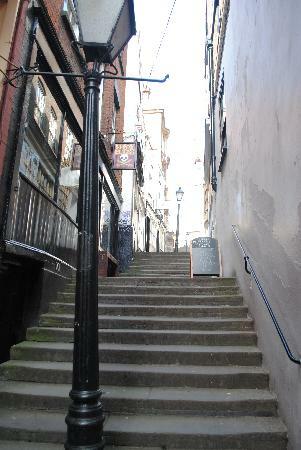 The area includes Colston Street, Perry Road, Lower Park Row, and St Michael's Hill, as well as the actual Christmas Steps and lots of passages and connecting alleyways. While not overly steep, it is worth considering sensible footwear, and bearing in mind that the area is not ideal for exploring with a pushchair or wheelchair. The steps themselves can be slippery when wet too. 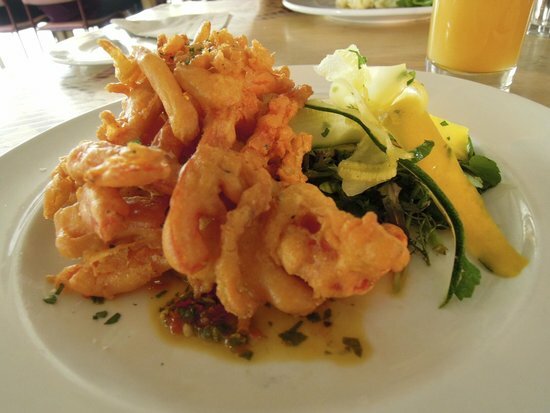 Hungry after all that shopping?! St Nicks Market is a must-visit in Bristol. 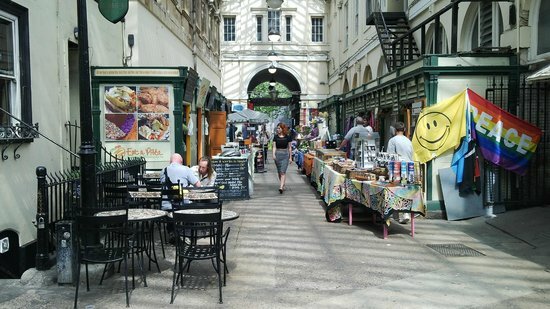 The covered arcade is really atmospheric and houses some great independent food stalls and shops. The place in town to grab some lunch, bar none! Join the lunchtime queues of office workers, shoppers and students for the wallet-friendly falafel from "Eat a Pitta". The best you will ever have. Other non-permanent markets in this area include the Nails Market, Friday and Saturday 9am - 5pm; Bristol Farmers Market, Wednesday 9.30am - 2.30pm; and the Friday Food Market, Friday 10am - 4pm. St Nicks Market is open Monday to Saturday, 9.30am - 5pm, and includes the glass arcade, covered market and corn exchange. Cycling is a brilliant way to get around the region, and it fits perfectly into the Bristol culture of green, fashionable and fun! As well as getting you from the Harbourside to the Suspension Bridge, the Avon Cycleway also follows a much wider circular route: 85 miles to be precise, taking in the villages and countryside around Bristol and Bath. Depending on your expertise - and energy level! - choose your route, and enjoy the ride! It is worth downloading a detailed map of the Cycleway before you set off as the route is not always clearly marked. There are several online resources offering circular routes. If you need to hire bikes, there are several places in the city centre that offer this service, including Bristol Temple Meads train station and the Waterfront. If you are feeling energetic, do get out and about - it's about 17 miles between Bristol and Bath - a gorgeous spa town well worth visiting! You simply can't leave Bristol without seeing at least one of the original graffiti murals by internationally known street artist Banksy - one of Bristol's most famous sons. 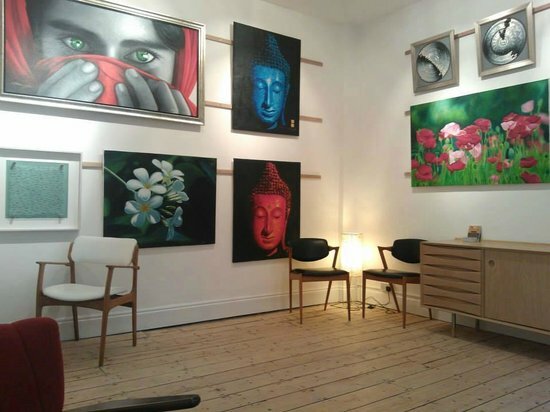 Head to Stokes Croft, the home of Banksy, 20 minutes walk north of the Waterfront, and after you've had your fill of art, visit the accessible and cutting edge Canteen for great food, drink and music. Banksy's original piece "Mild Mild West" is right next to the Canteen. If you stand at the junction of Stokes Croft and Jamaica Street you'll get the best view. Canteen is open from 10am to midnight, with late opening until 1am Friday and Saturday. There is free live music every night of the week from 9.30pm (4pm on Sunday). Canteen's food is sustainable "slow food" and quite delicious. The dishes are great value for money and come with free soup and bread. 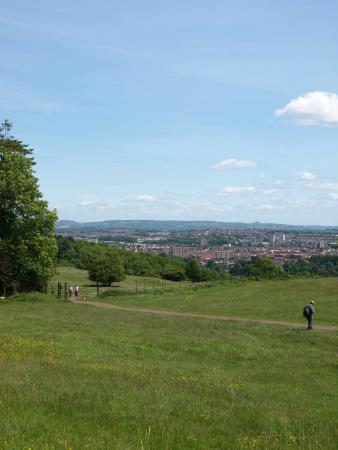 While exploring the outer fringes of the city, a great stop to the west is Ashton Court - a mansion house and estate with lovely open parkland. 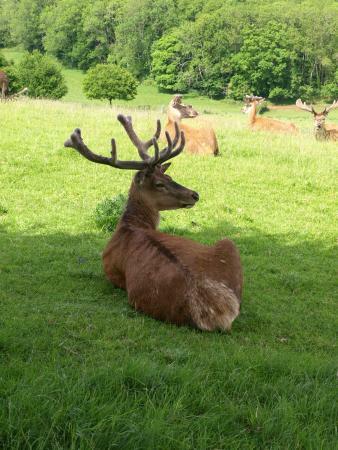 Whether you want to walk, cycle, or ride your way around its various trails by horse, you're sure to enjoy exploring its deer parks, woodland gardens, miniature railway and more! 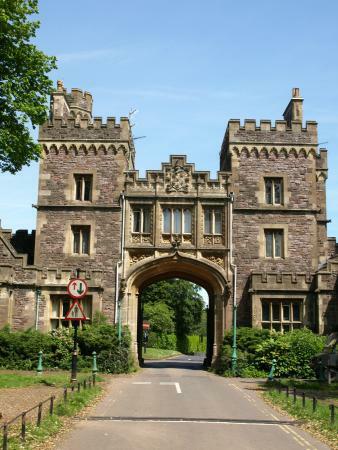 Ashton Court is open from 8am daily, with free admission and a small charge for parking all day. Access the toilets (with baby change facilities) via the stable courtyard. 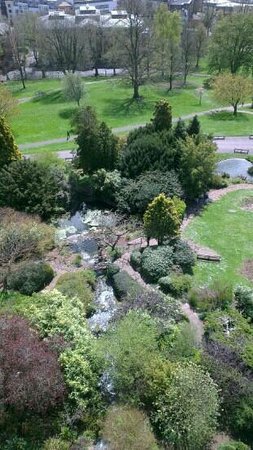 Areas to explore include a natural play area, woodland garden, picnic area, miniature railway, golf courses, cafe, and two deer parks. 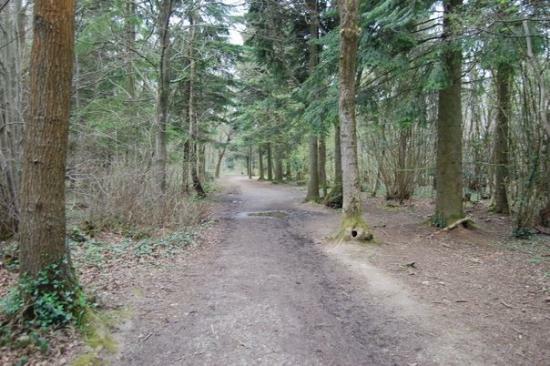 There are various cycling, walking and horse riding trails. The Balloon Fiesta, hosted here in August, is the largest hot air balloon meeting in Europe and an amazing spectacle to see. It's free to visit - go at 6am or 6pm to see the mass ascents. 7:30 a.m. - 5:15 p.m. Finish your trip with a visit to another one of Bristol's great surrounding districts - Southville - 30 minutes walk to the south west of the Waterfront. 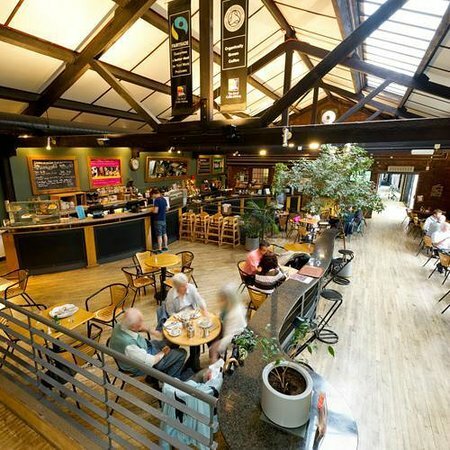 The regenerated Tobacco Factory is the area's most iconic building, and houses a cafe-bar, theatre, studio space, and apartments. Enjoy your last supper! Walk along North Street and enjoy the independent shops, cafes and restaurants. 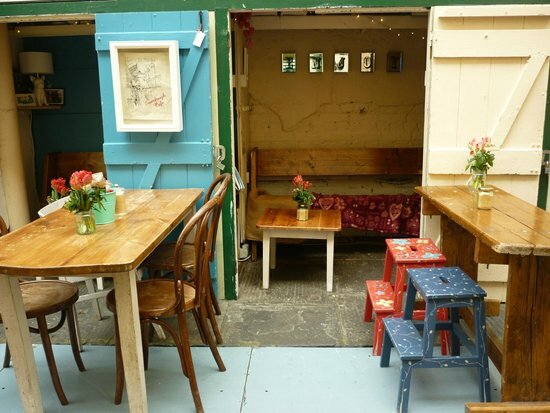 You'll find lots of tempting food options, as well as second hand furniture and curios. 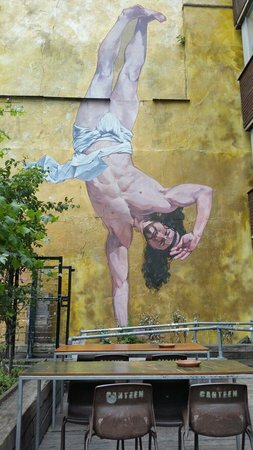 The Tobacco Factory regularly hosts exhibitions, live music and events, including the Upfest graffiti festival. 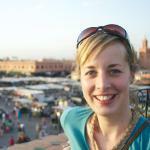 There's also a Sunday Market every week from 10am - 2.30pm. Food is served Monday to Thursday 12pm - 3pm and 5.30pm - 9pm; Friday 12pm - 3pm and 5.30pm - 9.30pm; Saturday 12pm - 9.30pm; and Sunday 10am - 8.30pm.